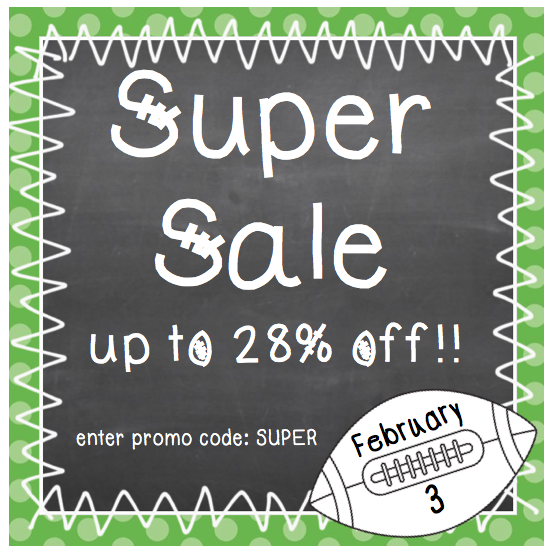 Today Teachers Pay Teachers is having a SUPER Sale!! What do you think about those fonts? Stephany is extremely talented. I called her and asked if she could make a football font. In no time at all, she created the font above!! I love the little stitches on the uppercase letters!! Head on over to our TpT stores and check out the sales!! You will have a touchdown of savings!! Whoo hooo!! By the way, who are you predicting to win the SuperBowl? Leave your comment below. We are excited to hear your guesses!